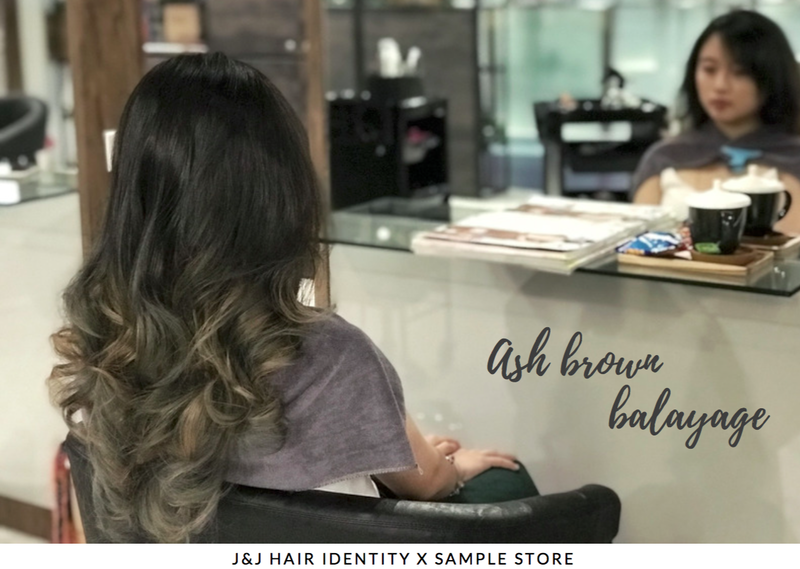 If silver grey and dirty blonde had a kid, it would be ash brown. It's such a gorgeous, chic and versatile colour that the moment I saw it on my Instagram feed, I knew that it has to be my next hair colour. I have to confess that I'm a sucker for aesthetics and the instant I walked into J&J Hair Salon, I'm already half sold. The salon's spacious, open-concept makes one feel immediately at ease. 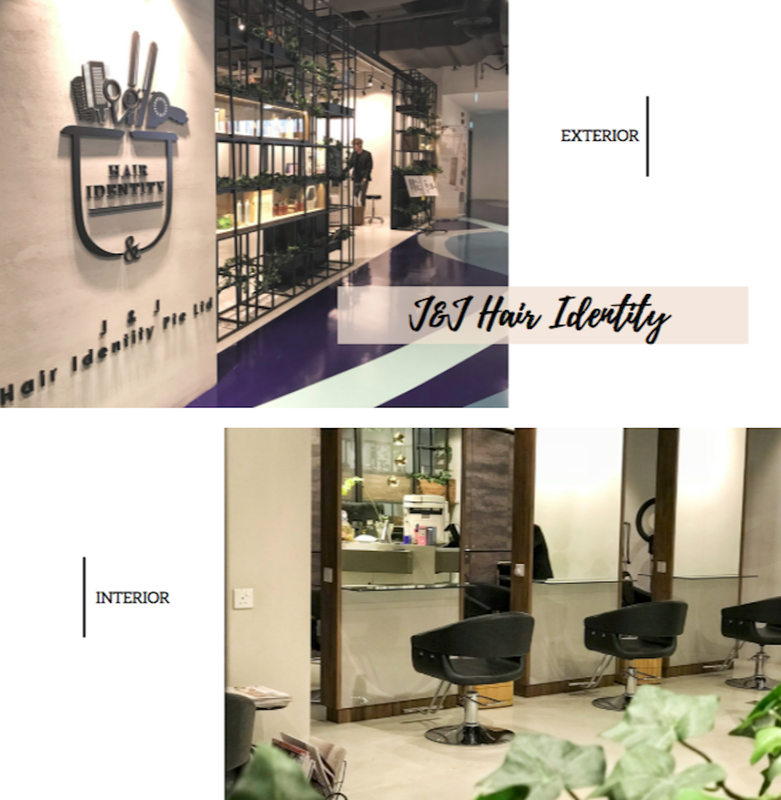 Its design boasts a sleek, down-to-earth vibe that celebrates their concept of using au naturel, organic hair products of the Natulique series. The line-up of hair products stationed along its shelves creates a beautiful contrast between the light woody tones of the ledges and the glossy packaging of the bottles and tubes galore. 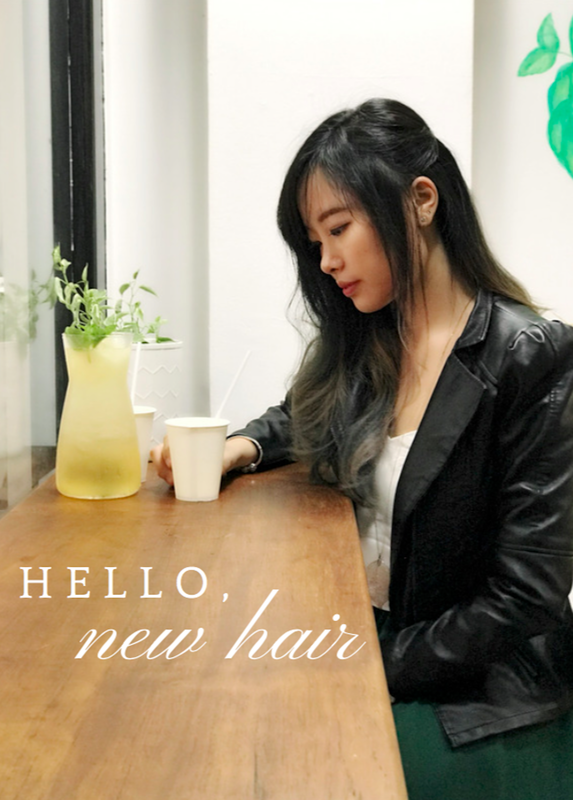 Having bleached and recoloured my hair multiple times in the past few years, I was concerned that it would be too brittle and damaged to withstand more bleaching to achieve the desired ash shade. 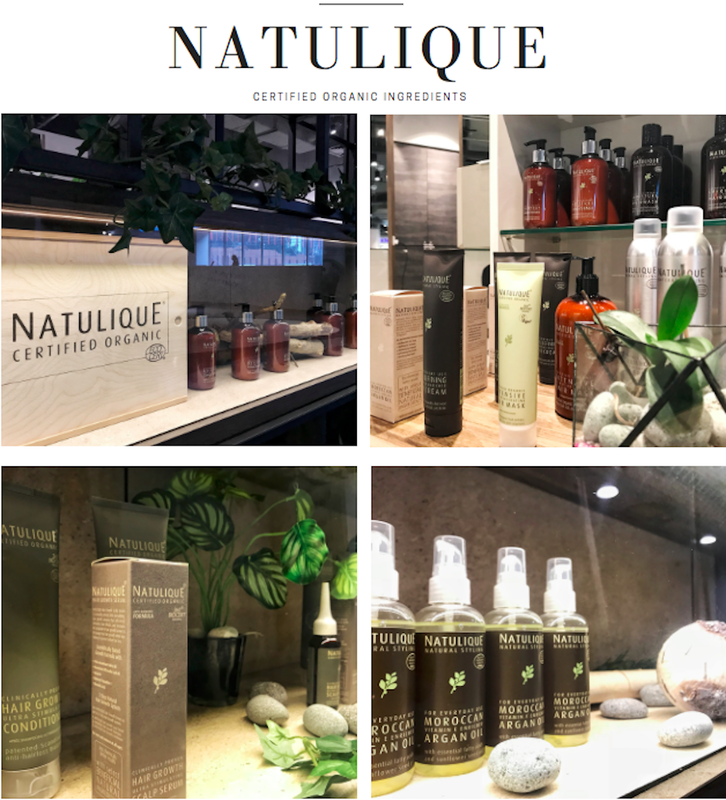 My stylist, Jac, reassured me that I did not have to bleach my whole head, and that the product range that they use, Natulique, is an ECOCERT certified hair care range that is gentle on the hair. While organic hair dyes may not be able to produce vibrant neon colours comparable to non-organic dyes, they can pull off other colours just as well. An added bonus would be their solid coverage for grey and silver hairs. 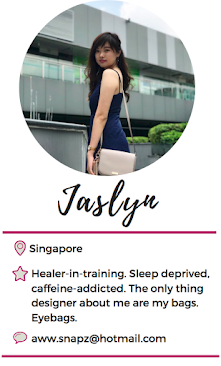 Through our conversation, I learnt that J&J Hair Salon is one of the few organic hair salons in Singapore which carries this range of professional organic salon hair colours that contains certified organic ingredients and is ammonia-free. That last line perked me up. Goodness knows how sensitive my skin can be for I have a history of eczema and chronic idiopathic urticuria. Almost all my previous few dye jobs were of me bearing with the prickly irritation of the dyes when they accidentally came into contact with my scalp (I had always tried not to dye all the way to the roots of my hair) and waiting for the ugly erythematous patches to fade afterwards. I kept my fingers crossed this time round, hoping that all would go smoothly. Dying one's hair is an awfully tedious process and you will definitely have to set aside a few hours for the works. I loved how thoughtful the salon's service was for they served refreshments and snacks. 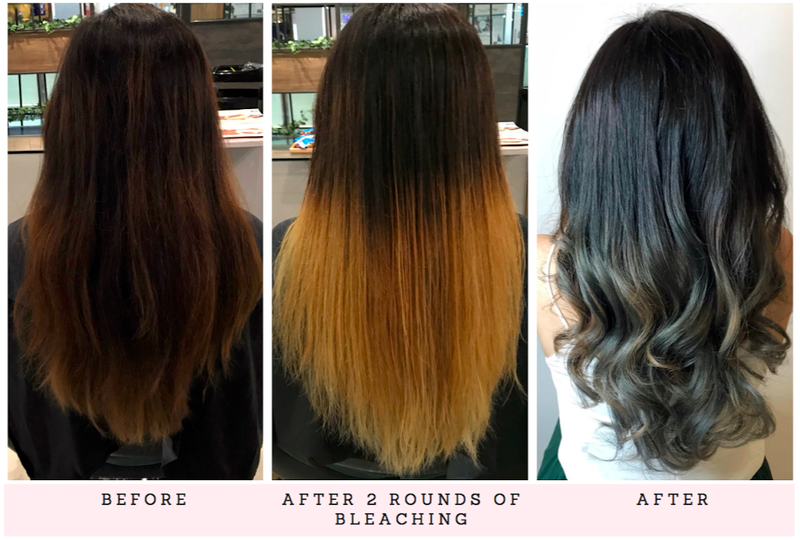 To achieve the ash brown balayage effect, I had to bleach the bottom half of my hair twice. The first session of bleaching did not manage to wash out my hair's dark pigments evenly, perhaps due to the fact that I had darkened my hair about 3 months prior to this visit. Jac suggested that we try bleaching it again, and if the second session fails to work, we might have to forgo the ash brown concept and select a darker shade instead. 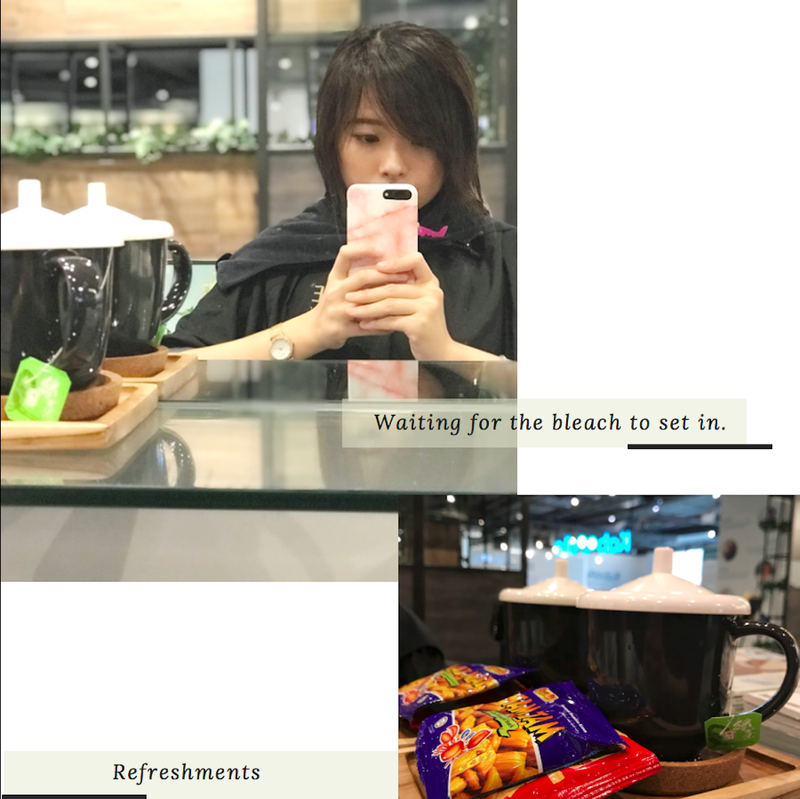 He was really considerate and I appreciate how he tries to help me achieve my desired hair colour without compromising the quality of my hair. Thankfully, it worked out and we went on to the dyeing process. I was pleasantly surprised when I did not feel much of a sting when the dye came into contact with my scalp. After a slight prickly tinge, the feeling faded within minutes. Using ammonia-free Natulique dye meant that I was also spared from the pungent smells typically associated with other non-organic hair dyes. I used "Ice Light Brown - 5.17" but first, disclaimers. Not everyone who chooses the same shade will end up with an identical colour as mine for every individual's hair is different in its quality, permeability and uptake of colours. After spending about 5 hours in the salon, the transformation was complete! I left the salon with ash brown balayage hair in the most gorgeous shade, channeling my inner ice queen. Under different lighting, it appears as a mixture of grey, green, ash, brown and even lavender. Updates: Like all post-dye jobs, there will inevitably be tinges of colour running as you wash your hair in the shower. Thankfully, my hair doesn't stain my towel and the dye bleed stopped after about 3 washes. The ashy tones became more prominent with time as the colour lightens. Thank you J&J Hair Identity Salon & SampleStore for the stunning balayage hair makeover! For more reviews on J&J Hair Salon and their Natalique products, visit SampleStore.